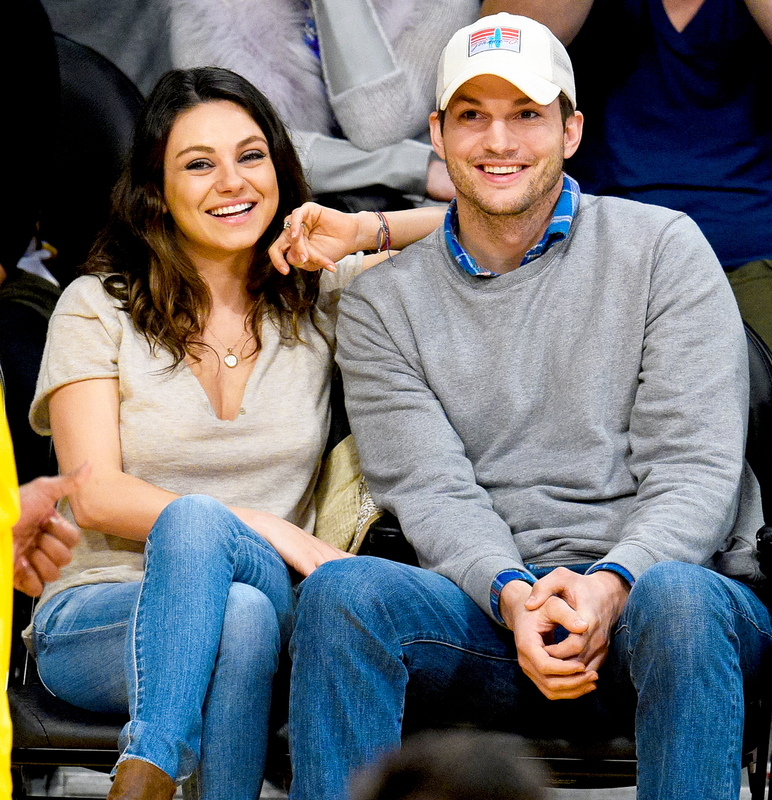 Ashton Kutcher Almost Accidentally Reveals Unborn Son’s Name: Mila Kunis Would Have ‘Murdered’ Me! Oops! Ashton Kutcher almost accidentally revealed his unborn son’s name while guest hosting on Live with Kelly on Friday, October 7. Kelly Ripa asked The Ranch star if he’s decided on a name for his second child with wife Mila Kunis. Kutcher, 38, told Ripa that yes, they have a name, but they’re keeping it a secret. He then whispered the name to Ripa, but forgot that his mic was still on. Kelly Ripa with Ashton Kutcher on Live with Kelly. Crisis averted, Ripa, 46, informed viewers that the name for their baby-to-be is perfect. "That&apos;s a really good name! You know what it is, it sounds established,” she told the That ‘70s Show alum. According to Kutcher, finding a name he and Kunis, 33, both like wasn’t easy. "When we get in the naming process, [Mila] hates every name I ever come up with, and so I just start rattling off anything I see," Kutcher said. "Like, &apos;Truck. Camera Kutcher, Lights Kutcher. La Luz.&apos; I&apos;ll go multiple languages, and she hates it. But eventually, both times, I&apos;ve landed on the name with name turrets." The couple are already parents to daughter Wyatt, 2. Watch the cute moment above — it sounds like he says “Barrett”!